Social media has come a long way from when it was in the beginning and now Twitter is not the only place where hashtags are useful. They are great tools to make it easy to search for topics and can be used on Facebook, Twitter, Google+ and Instagram. It is important that if you do use hashtags, you use them effectively or they will only serve as an annoyance. People will quickly be turned off if you overuse hashtags in a post. Some analytics show using more than two hashtags per tweet can have devastating results. To prevent overusing hashtags, look at the focus of your post and use one or two hashtags that will represent that. To find the number of hashtags that put your post in the sweet spot, you will need to look at the interaction. Try a different number of hashtags and see if the number of interactions increase or decrease. Use the number that brings in the most interaction with likes, shares, and comments. You want to make sure the hashtags you use are easy to understand, so consider capitalizing the first letters so there is no confusion. An example of this can be seen when #nowthatcherisdead sparked confusion on the whether Cher was alive or dead. The tag should have been #NowThatcherIsDead because that helps the readers see it correctly. In addition, you want to make sure they are promoting your brand in the simplest way possible. X-Factor has shown in various countries, so the one in the US wanted to show their difference by putting XFUSA as the hashtag. However, that was not what fans followed, so be prepared to switch if necessary. When you are preparing to find a hashtag for your brand, test the water to see what people seem to engage with. Hashtags can be fun and creative, but they also need to be something people like. Consider having your readers give you ideas for your campaign hashtags. When you are looking at a new campaign, research what hashtags have been used in the past. You do not want to use a popular hashtag that could have you confused with another company, just as you do not want a hashtag that was used in an unpopular campaign. Before using a hashtag, run it by others and an editor. You want to make sure that it is interpreted how you desire so that the message comes across. It is important to take the time to do full research on your hashtag to make sure it benefits your company. Twitter is a complicated beast and tweets can get lost quickly. Two great ways to use Twitter effectively with hashtags are with Twitter parties and Twitter chat sessions. If you are working on a new hashtag and want to get the most out of it, you will benefit from holding a Twitter party. These parties can cause hashtags to trend, which will bring others into the conversation. If a Twitter party is daunting, consider starting a Twitter chat. For an example of how effective Twitter chats can be, you should look at Hashtag Shenanigans. They do a special Twitter chat every Wednesday that has become very popular and ends with multiple retweets and replies. You want to make sure your hashtag can be used for a long time. While campaigns are short lived, the effects can be long lasting. Whole30 is a program that people are only on for 30 days, but using the hashtag brings support from those who have already finished the program. Part of the research you should do with using hashtags is knowing your target audience. Millions of people use Twitter daily, so you want to make sure your tweets hit the people you wish to reach. If you are working on educating people, consider something with the word “tips” or “101” in it. While it is vital that you make your hashtag clear for users, creativity is what draws the audience. Remember that hashtags can be extremely powerful, so when you find one that works it will take off. It is common for people to not remember where the hashtag got its origin, so try to use it often allowing your company to come up in the searches. People either love or hate hashtags, there is no middle ground. Many people who are against hashtags are against them because they are overused. 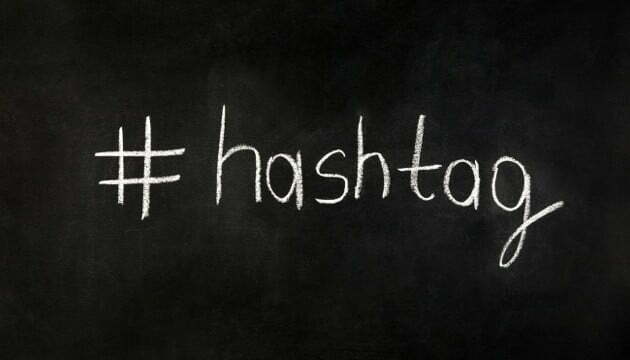 You can prevent your company from being lumped into the annoying category by following the aforementioned methods to using hashtags successfully. Whatever you end up deciding as a company, remember to use the same hashtag throughout all of the social media platforms. Have your company visible on Twitter, Facebook, Google+ and Instagram with the same hashtag and it is guaranteed to be seen by more people.